It saddens me to say that it appears the JuicedLink amplifiers are no longer available. We received an order for one of these amplifiers and couldn’t reach JuicedLink to place the order. During my efforts to contact them I saw a post online saying that the company was sued for patent infringement. The author speculated that the owner closed down the company instead of facing a long legal battle with a large corporation. 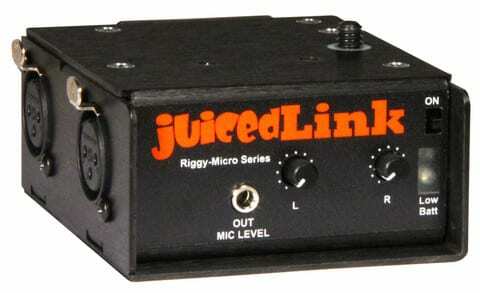 The JuicedLink amplifier was not inexpensive but it was a very good product. We are truly saddened to see this company go away. Hopefully Robert will find another product to bring to market. Obviously we won’t be conducting a side-by-side comparison between the JuicedLink and and BeachTek Micro Pro. If, however, we hear of JuicedLink’s return we will let you know.